The human body is home to trillions of viruses, fungi, and bacteria. These micro-organisms (microbes, for short) are part of a system scientists and doctors call the “human microbiota,” otherwise known as the microbiome. The fact that microbes are grouped together, however, doesn’t mean that they all follow the same function; they affect the body in various ways. For instance, some bacteria cause diseases and wreak havoc on our health. This doesn’t hold true for certain other types of bacteria. In fact, others are extremely crucial for your heart, immune system, and other aspects of health. These good microbes also prevent harmful viruses and bacteria from colonizing your internal organs, so it’s no surprise that most of them can be found residing in your gut. Microbes reside mainly in a “pocket” of your large intestine called the cecum, and they are known as the gut microbiome. They seem like ordinary and harmless residents in your body, but, for the record, these good bacteria are hot topics in the field of research. Globally, research institutions invest millions of dollars in the study of the gut microbiome. Improving the patient’s intestinal bacteria is proving to be an important consideration in diabetes, neuroscience, and cardiovascular prevention. It also plays a significant role in ending the war on obesity. More than its disease-preventing function, it also does wonders for your health — physically and mentally. Your intestinal microbiome begins to affect your body from the moment you were born. As you emerge from your mother’s birth canal, you receive “handover bacteria.” The passing of the mother’s microbiomes results in a healthy mix of bacteria for their offspring. Babies born via vaginal delivery benefit from lower risks of health conditions, which include Type 1 diabetes and asthma. As you grow, your intestinal bacteria begin to diversify, which means it starts to host different microbial species. A higher gut microbiome diversity is good for your health as it makes your body more resilient against infection and other diseases. Breast milk digestion. Bifidobacteria, bacteria that grow inside babies’ intestines, digest healthy sugars in breast milk, which are important for their growth. Fiber digestion. 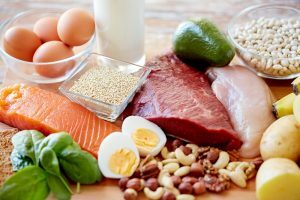 Certain microbes digest fiber and produce short-chain fatty acids that promote better gut health. Fiber is a dietary material that helps prevent heart diseases, weight gain, and diabetes, as well as reduce the risk of cancer. Control over your immune system. Bacterial species residing in the colon can directly communicate with the immune system’s host cells. This connection enables the gut microbiome to control your body’s response to infection. Intestinal disease prevention. The microbiome also plays a significant role in preventing intestinal diseases like inflammatory bowel disease (IBD) and irritable bowel syndrome (IBD) from developing because of dysbiosis, a microbial imbalance in your body. Certain healthy bacteria, such as Lactobacilli and Bifidobacteria, seal the gaps between intestinal cells and prevents leaky gut syndrome. The brain contains billions of neurons that share a working relationship with the bacteria that inhabit the human body — both the good and bad. Research suggests that bacteria are vital to brain development and influences behavior, stress-handling abilities, and response to mood-related issues (e.g., anxiety and depression). Your immune system’s response to stress alters the nervous system. During such situations, your gut microbiota profile changes according to the bacteria’s interaction with one another. It affects brain health by controlling the messages your body sends to your brain through the nerves. Other studies have reported that various patients suffering from psychological disorders have different species of intestinal microbiomes compared to mentally healthy individuals, strongly indicating the gut-brain connection. Still, it’s unclear if depression occurs due to the different lifestyle and dietary habits. Research has also shown that particular types of probiotics can improve symptoms of depression, anxiety, and other mental health disorders. Even if you do not suffer from any gut-related disease or disorder, you can still benefit from a healthy community of intestinal microbes. 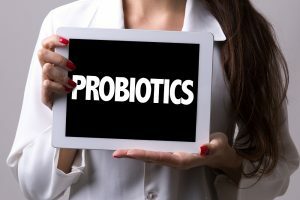 Since probiotic foods aren’t often part of an individual’s diet, a few lifestyle and dietary changes can make a difference in your gut’s health. Diversity in your diet will result in a diverse gut microbiome, which is an indicator of good health. Apart from consuming probiotic foods (e.g., cultured vegetables and kombucha), eat beans, legumes, and fruit that contain plenty of fiber. Include a variety of fermented foods in the mix. Sauerkraut, kefir, and yogurt all contain Lactobacilli — a good bacteria strain that promotes better digestion, cholesterol reduction, and a stronger defense against colds and allergies. Artificial sweeteners may provide sweetness without the additional calories, but it can disrupt the balance of good bacteria in your gut. Researchers discovered that animals that were fed these sugar substitutes experienced changes in their gut microbiota. The study, which tested popular sweetener brands, reported that when the mice ate the saccharin sweetener, there was a significant reduction in their levels of beneficial bacteria. Mice fed with water, on the other hand, maintained their good gut microbiome numbers. The researchers of the study noted that people who consume artificial sweeteners have different gut bacteria profiles than those who don’t, though it remains unclear how these sugar substitutes trigger these changes. Antibiotics wipe out both the body’s good and bad gut bacteria. So, while the bad bacteria that was causing you to get sick is eradicated, it comes at the price of the good bacteria that maintain the balance in your body’s functions. The lack of good bacteria results in certain and harmful digestive tract yeasts pushing their way through your intestine. This leads to a leaky gut, a condition were toxins and bacteria “leak” through the intestinal walls. Avoid leaky gut and other antibiotic-related consequences by taking the medication only when it’s absolutely necessary. Moreover, consult with your doctor first before you take any antibiotics. You share your body with trillions of bacteria — most of which look after your health. Return the favor by looking after them, too.